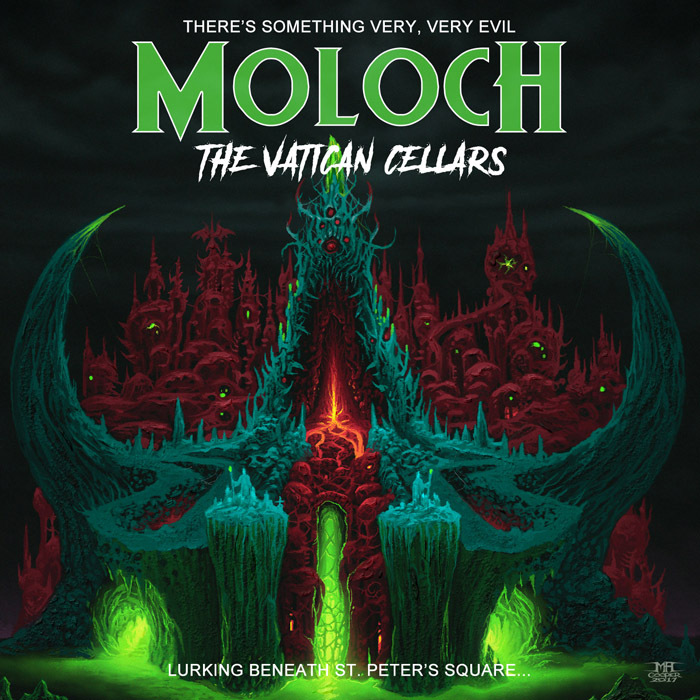 This upcoming, huge compilation, “The Vatican Cellars” will feature a total of 36 tracks that have been meticulously selected by Moloch himself. The 2CD collection will include both full-length releases “Withering Hopes” and “Onoskelis” as well as the “Yog-Sothoth” EP released previously on CD-R and digital by Moloch under the guise of I.A. SERPENTOR. Above all that the compilation will also include never before released tracks written and recorded between 2004-2011. The album will be released as a 2CD jewel case and special limited digibook. The cover artwork was designed by the magnificent Mark Cooper known for his work for RINGS OF SATURN.